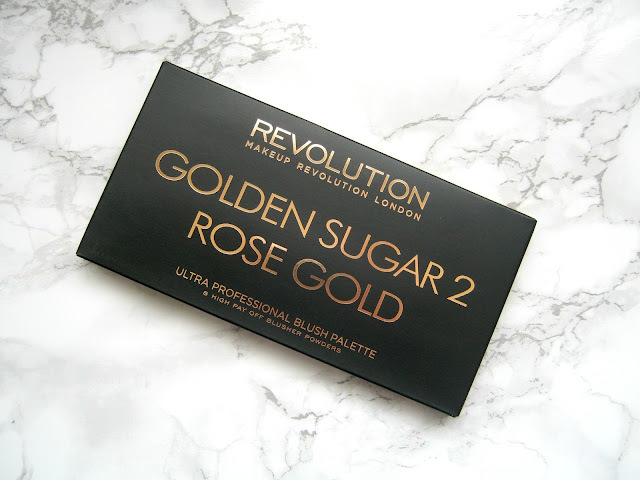 At the beginning of last year I reviewed the gorgeous and stunning Makeup Revolution Golden Sugar Blush Palette on my blog and since then it's become one of my most popular posts. If you've read my review or have the palette yourself then you'll know why as it really is beautiful and seems to be a favourite amongst beauty bloggers. So, I really wasn't surprised when I saw that Makeup Rev. had brought out a second version, a rose gold one, that I was eager to get my hands on. I've this palette for quite a while now as I kind of left it off my review list for some reason but I'm finally sharing my thoughts on it for you today! 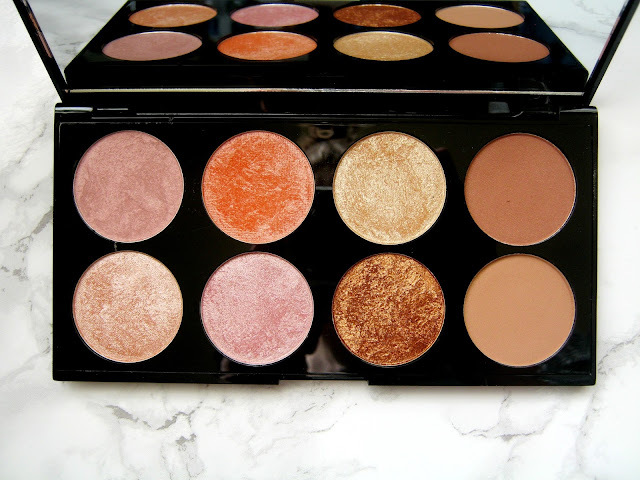 The first thing that I noticed about this palette is that it is a lot bolder than the previous one, it still contains a mixture of blushers, highlighters and bronzers but they have taken them up a level or two. I'll let you know at the end which one out of the two is my favourite! As with the other palette there are some shades that stand out and perform more than others but what you can definitely see is they still have really good pigmentation and colour pay off that I've found with most Makeup Rev. eyeshadows, blushers and highlighters. What I've noticed this time round is that they've definitely improved the pigmentation of the matte shades, in the first palette we only got one matte shade that didn't perform all that well so it's nice to see that they have improved that. 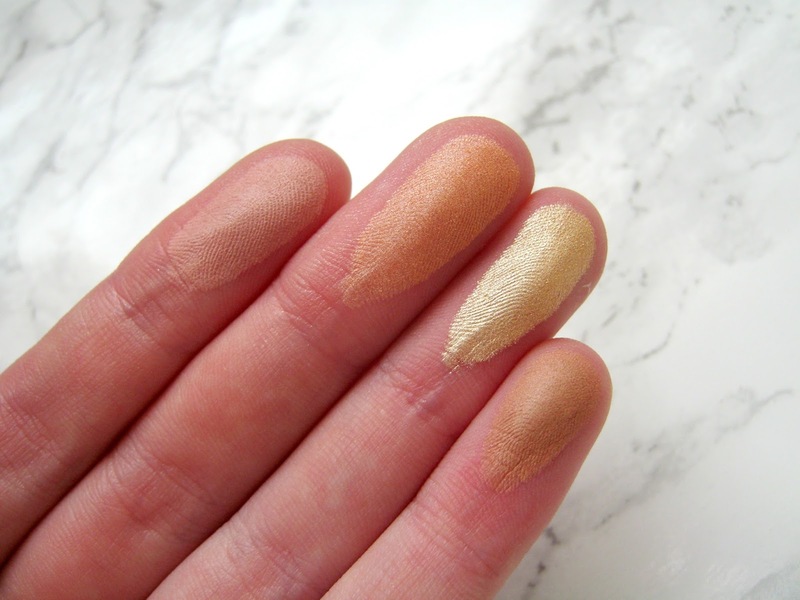 Saying that I don't use bronzer all that often so my favourites definitely were the more pigmented shimmery shades. I love and use the first 3 shades on the top row and the first 2 shades on the bottom row the most, there is only one shade in the palette that I haven't used more than once though and you can probably guess which one. 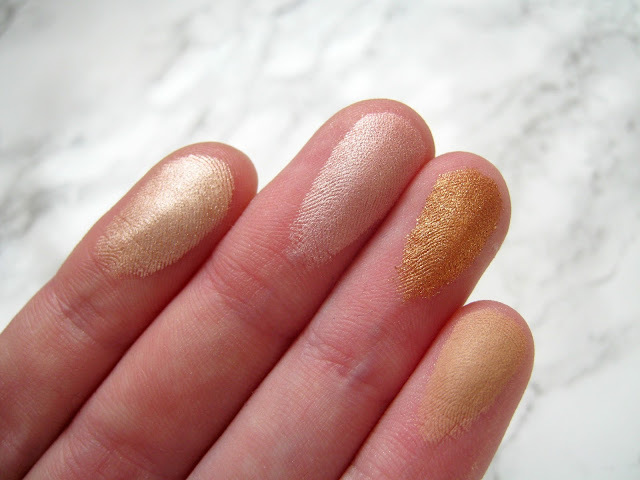 The 3rd shade on the bottom row is for me just a little too glittery and bronze to use as a face product but I have considered using it as an eyeshadow so perhaps I'll have to give that a go soon! 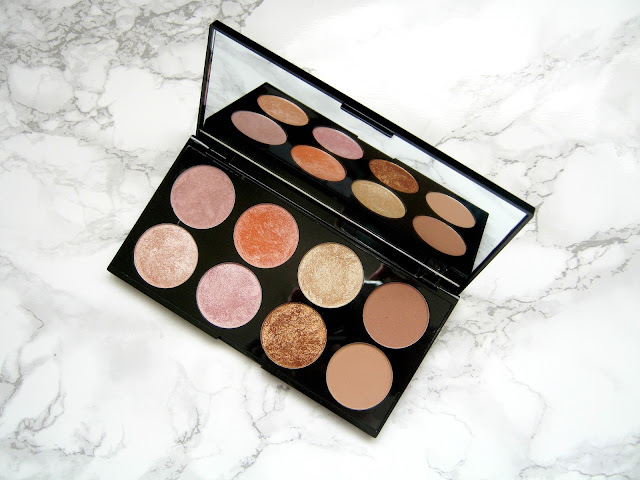 Once again Makeup Revolution have really blown me away, I would recommend the blush palettes to everyone as they are especially great for travelling but also they are really good value for money at only £6 each. You can find them on the Makeup Revolution website or in Superdrug stores that stock the brand. As for whether I have a favourite out of the two Golden Sugar ones, I think perhaps the first one wins by just a small bit but honestly I adore both! This is such a gorgeous palette!! These shades are stunning! I really need to try out this palette! I've got the original Golden Sugar palette and although this is beautiful, I don't think I can justify owning them both as they are very similar to each other. If I could buy the shades individually though, I would be all over the four on the left - they're stunning!